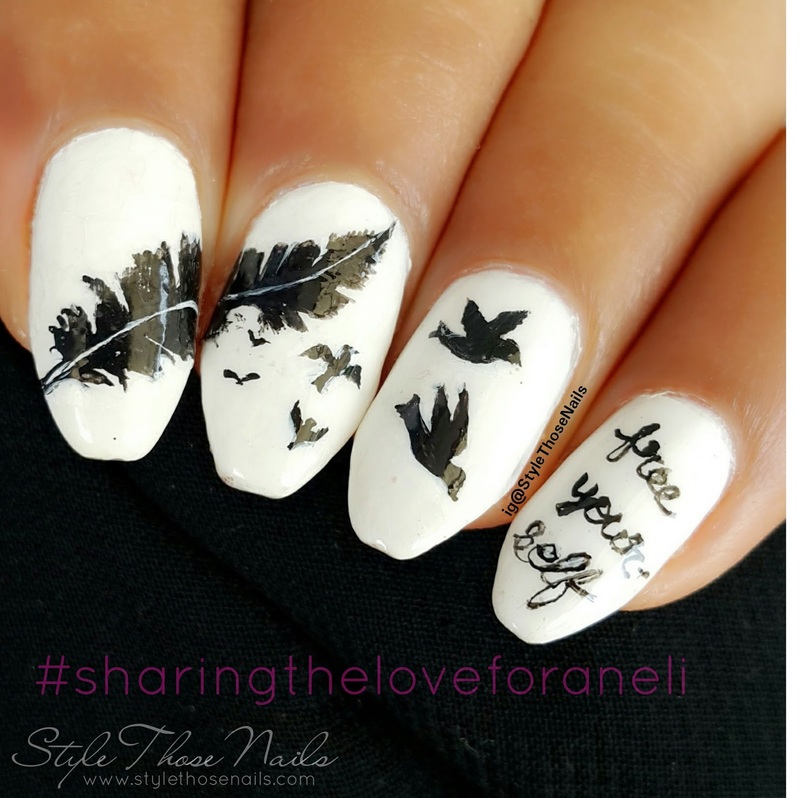 This is a special post dedicated to @ane_li , an 18 year old, talented nailartist who left us all on 11th of July 2016. 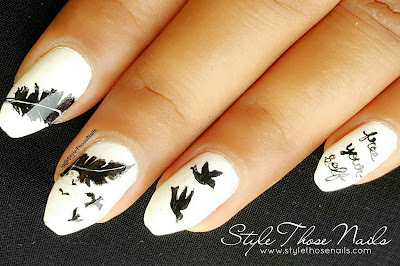 She was immensly talented and contributed amazing nailart to nail community. She was an inspiration to many including me. 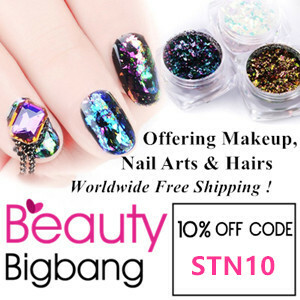 No doubt whole nail community and her fans will miss her a lot. Though we may wonder why such a popular artist would take such an extreme step but we can't forget that Ane was not just a nailartist she was a human being with her own moments of sorrows and happiness. As per info from various sources I came to know that she lost her battle with depression and decided to fly away from this world. I pray she is at better place and resting in peace. But what about her family and friends who must be close to her and now left behind wondering !! I pray to God that they get strength to bear this loss. Depression is becoming a serious disease now a days and sadly people don't treat it as disease but just as a mental condition. Still in many places people feel uncomfortable in seeking medical help as they fear society won't approve it but the fact is that depression patients need equal care and support as any other sufferer. And if you are someone who is suffering from Dipression then never hesitate to seek medical help, talk about your problems with your family and friends, exercise, eat well and meditate but never take any extreme step. Remember your life is precious. Ane was a precious gem and as a tribute I decided to take part in #sharingtheloveforaneli by recreating one of her iconic nailart "Feather to Birds"
Feather to birds seems to be close to her heart as she herself recreated this nailart several times, each time better than before. 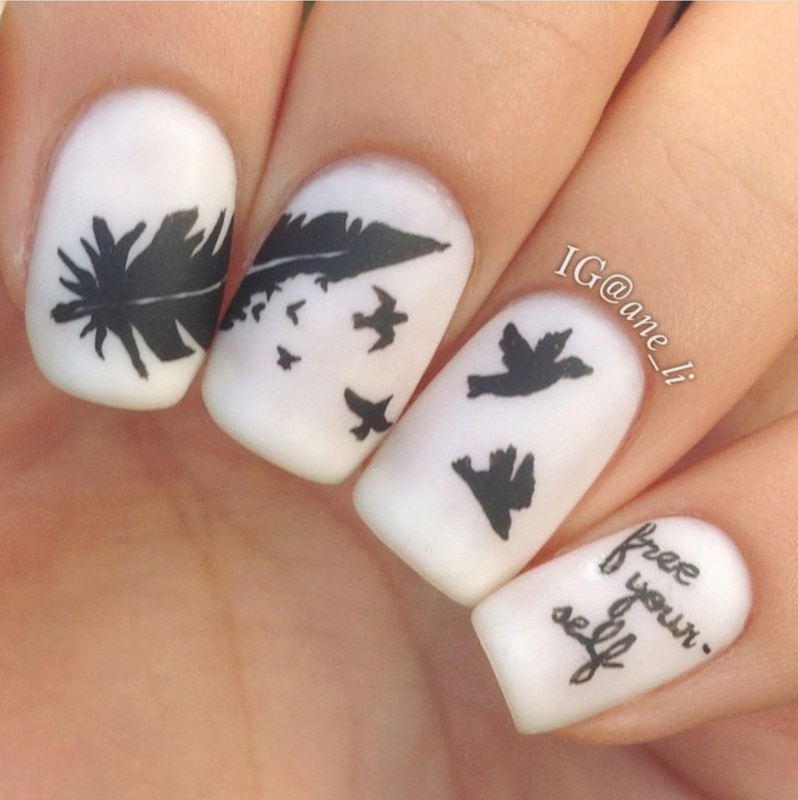 I decided to recreate the one where she added the text "free yourself". 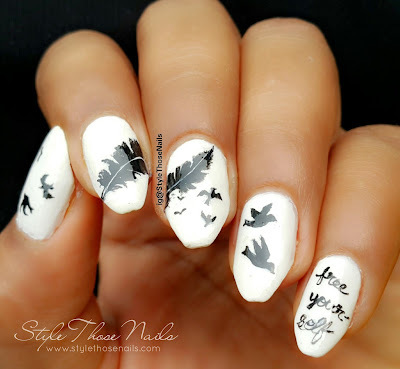 Don't know why I felt as she has put her heart in this nailart. This is indeed her one of the best creation. I don't know if I was able to do any justice to her work.